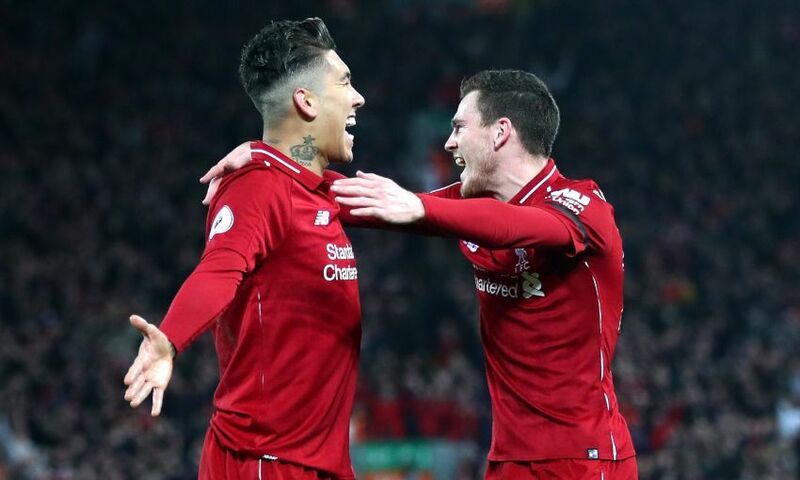 Andy Robertson's resolution for 2019 is to help ensure Liverpool's remarkable progress over the past 12 months is translated into success. A scintillating 5-1 victory against Arsenal on Saturday guaranteed the Reds a cushion at the top of the Premier League heading into the New Year. Jürgen Klopp’s side have yet to taste defeat in their 20 league games so far this season and set a new club record of 2.38 points-per-match over the course of the calendar year. Having reached the Champions League final in May, Liverpool booked their place in the last 16 of the current edition and will face Bayern Munich over two legs. Plenty to be satisfied with, then, but Robertson knows his side have not achieved anything yet – and wants to make sure they do in the coming months. “At Anfield we’ve been incredible,” the Scot told Liverpoolfc.com after Roberto Firmino’s hat-trick plus goals from Sadio Mane and Mohamed Salah defeated the Gunners. For the first time in a year, Liverpool trailed in a Premier League match at Anfield after Ainsley Maitland-Niles pounced to put Arsenal ahead on 11 minutes. But the lead was short-lived – Firmino scored twice in the space of 90 seconds to overturn a scoreline that was added to by Mane and Salah before the break. “The response was brilliant and we stayed in control,” said Robertson. “We didn’t panic and we kept on playing our football, kept the ball down, and that’s how the first goal came about. “Fair play to us for getting back into the game and then obviously the fans get right behind you. To be 4-1 up at half-time was incredible. “But we knew how hard the second half was going to be because sometimes the easiest thing is to sit back and we knew how good Arsenal were. The win opened up a nine-point lead for Klopp’s men at the Premier League summit before Manchester City’s clash with Southampton on Sunday. Next, the Reds face the reigning champions in a massive encounter at Etihad Stadium on Thursday night to kick off their 2019 schedule. Robertson insisted the Liverpool players will not allow that advantage to influence their thinking, with any drop in performance level likely to be punished. “We’ve got a fantastic squad and the manager, coaches and backroom staff around us that will keep us on our toes,” said the left-back when asked about rising expectations. “We can’t take our foot off the gas. If we can keep going, it’s a nice lead but we know how easily the Premier League can change.